When you learn to draw for the first time you make a lot of mistakes. You color outside the lines, or somehow you draw a cat that looks more like a house. But as you engage your brain with the possibilities of what you can create, your brain produces chemicals like serotonin and dopamine – providing you with positive, happy feelings that make you want to continue drawing and creating. In educational games the need for that chemical reaction and positive feedback loop is critical. Students need the freedom to make mistakes without getting penalized and the freedom to think creatively about solutions – but equally important is maintaining the attention and engagement of students. Educational games need a ‘player driver’ and Visual Effect (VFX) enhancements in game play to hold a students’ attention and highlight important subject mechanics. How might we develop educational games that achieve these goals and ultimately provide a rewarding learning experience for students? After studying a multitude of app games, I’ve selected three key elements that our team at Alchemie can incorporate into our products. 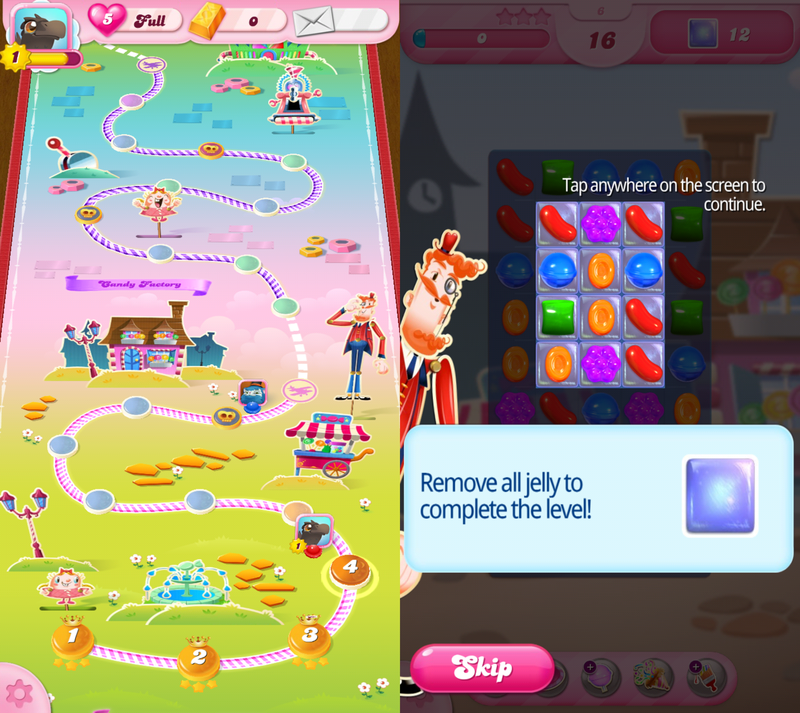 Screen shot of Candy Crush Saga. "Candy Crush Saga" is one of the most successful app games on the market – and it sparked a huge debate on the addictiveness of mobile games. But how is it so addictive and how can we recycle these elements into educational games? The popular app not only rewards players throughout the entire gameplay using VFX but also creates a multitude of player drivers that can appeal to a wide range of gamers. Upon opening “Candy Crush Saga” you are instantly charmed by the color and “Candyland” aesthetic that appeals to those who played the classic family board game. The pastel colors and charming Paper Puppet style characters offer a comfortable and calm player atmosphere. One of Candy Crush’s player drivers is a progression map in the form of a path that travels down a board with visible milestones. This generates curiosity and a desire to move down the path, introducing a story element that encourages continued play. These are important design features that can be applied to educational games to make students feel comfortable when approaching intimidating subject matter, and motivate students to move towards new learning milestones. The Candy Crush gameplay begins with a nice introduction using a “play now, learn as you go” type tutorial, or a Contextual Tutorial. This is when the game opens immediately and lets you play introducing one or two game mechanics before each puzzle without going over everything at once. This technique is also seen in a variety of other games such as Clash of Clans and Alphabear. The User learns through practice and play, gradually learning and incorporating new moves and concepts. It is a smooth way to jump right into the game instead of having to click through a tutorial before you even begin. Players learn something new almost every other round which can be an effective way to teach. 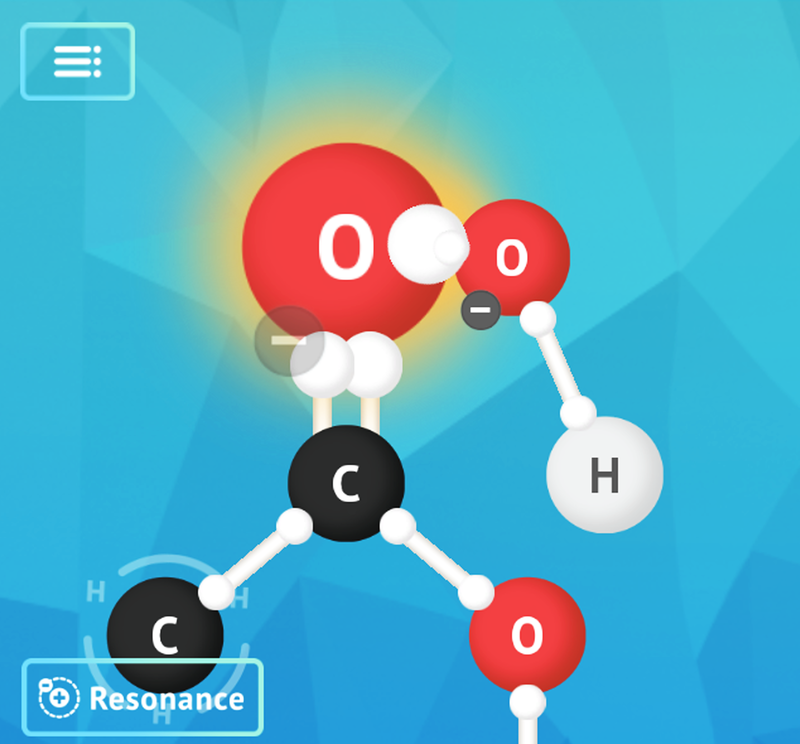 Mechanisms, Alchemie’s organic chemistry app, can adopt additional VFX elements similar to popular games by giving students bursts of rewarding effects to encourage continued gameplay, similar to how Candy Crush uses lightning and bursting effects when you match candy and complete a puzzle. Through well-timed visual VFX we can highlight when a major point is being made or a certain concept is introduced. The brain can be notified to remember that moment and crave to replicate it again when dopamine and seratonin producing effects are triggered. By using the constant small reward system and timing it correctly we can not only make games more enjoyable and keep the attention of a student longer, but also plan out how students grab onto certain highlights of what they are learning. We can also appeal to the player by introducing visuals for player progression, similar to how Candy Crush gauges player rank through the amount of completed puzzles and offers a visual pathway using a graphic map element. Mechanisms can incorporate this by offering player stats and specify goals users can meet. Player drivers that include timed rewarding VFX effects, and visuals for player progression.